Jim Sexton joins B.A.S.S. as their new Chief Digital Officer. Photo Credit: B.A.S.S. CELEBRATION, Fla. — Jim Sexton of Birmingham, Ala., has been named Chief Digital Officer of B.A.S.S. LLC, with oversight of all strategy and execution, including content, for Bassmaster.com and B.A.S.S. social media, mobile and online video properties. “Bassmaster.com, on a new platform since last winter, has had a lot of great work done on it recently. I want to build on that, and take advantage of all the online opportunities that are now in front of us to increase the Bassmaster.com audience and its revenues as well,” Sexton said. Widely considered one of fishing’s most popular websites, Bassmaster.com’s page views increased in the first half of 2011 to 74 million page views, up 55 percent from the same period in 2010, and surpassing calendar year 2010 page views of 66 million. The number of visits grew by 19 percent, and unique visits by 12 percent. Such growth, Sexton said, points to an exciting future for B.A.S.S.’ digital properties. That team of Don Logan, Jerry McKinnis and Jim Copeland purchased B.A.S.S. from ESPN in November 2010. Sexton’s media experience spans 25 years. Most recently before joining B.A.S.S., he was the principal of Sexton Digital Media, helping companies such as Meredith Corporation and Scripps Networks develop their websites and social media products. Before that, he was senior vice president of edit and product development for Time Inc. Lifestyle Digital in Birmingham, Ala. There he led eight websites and managed the Digital Video Studio, which produced more than 3,000 original Web videos. 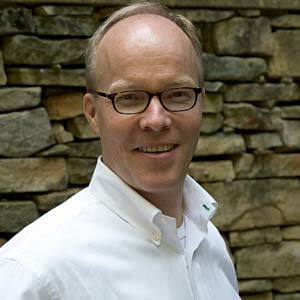 He also served as senior vice president of interactive brands for Scripps Networks, where he led the strategy and content of Scripps sites associated with HGTV and DIY networks. Earlier in his career, Jim spent 10 years in magazine editorial roles, including positions with USA Weekend and several Whittle Communications publications. A native of the Knoxville, Tenn., area, his interest in fishing took root when he was a child and took trips to the Tennessee River with his father and grandfather. “I’ve loved fishing all my life, and that’s another reason I’m looking forward to working within the fishing industry,” said Sexton, who listed his other favorite outdoor pursuits as paddlesports, hiking and camping. Sexton makes his home in Birmingham with his wife, Gretchen, and two children.